Hasan Ali Fruit Chat & Milk Shake serves light refreshment. 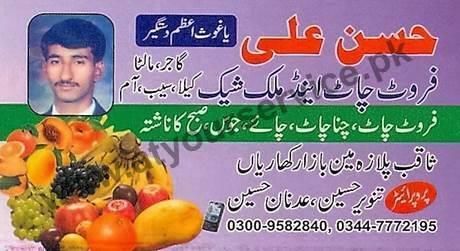 Hasan Ali Fruit Chat & Milk Shake is located in Saqib Plaza, Main Bazar, Kharian. It serves light refreshment.